It’s among a new class of blood thinners intended as an alternative to warfarin, which has been the standard treatment for decades. Although warfarin is effective, many users find it inconvenient because it requires frequent testing and dietary restrictions. And some of the other intended warfarin replacements have generated problems of their own. Boehringer Ingelheim’s Pradaxa, which has been linked to serious internal bleeding, was the subject of 3,781 adverse effect reports to the FDA in 2011. That included 542 deaths. 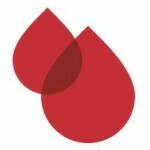 One of the problems is that no antidote is available for Pradaxa-related bleeding emergencies. Bloomberg cites Centers for Disease Control and Prevention statistics that about 2.66 million people in the U.S. have atrial fibrillation, which is the most common type of irregular heart beat. The disease becomes more common with age, putting patients at higher risk of blood clots and heart failure. You should consult with a doctor if you have any ongoing symptoms or health concerns, and before making any changes in medication. You should also consult with a lawyer if you have injuries connected with Pradaxa.